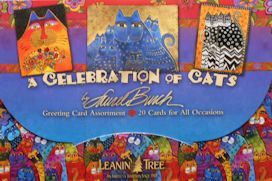 This folio of 20 cards and 22 envelopes features the cat artwork of Laurel Burch. There are birthday cards, blank cards, get well, thank you, new baby and encouragement cards in this folio. A $45 value if purchased separately.